Wondering how to measure for your next blanket or sheet? Use this quick bullet-proof method to make sure you choose the right size. 1. 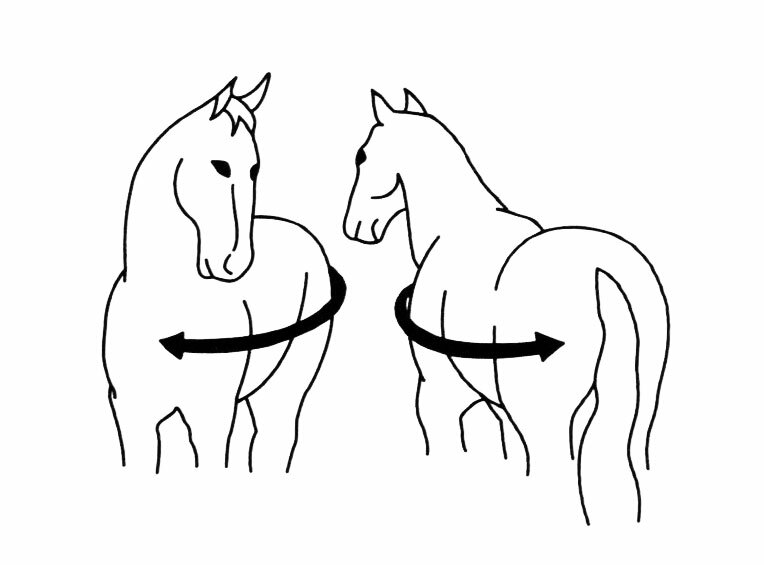 Using a string, have a helper hold the end in the center of your horse's chest where his neck and chest meet. Pull the string around the side (covering the largest parts of the shoulder and stomach) and end in the center of the horse's rump area. 2. Mark the length of the string with a marker (or cut it if you don't mind sacrificing your string). We'll measure this in the next step. 3. Lay the string flat and use a tape measure to find the length. The length in inches is the size of horse sheet or blanket your horse will need. If the measurement falls between two sizes, round up to the larger size for the best fit. NOTE: if you own a fabric style tape measure that is long enough for this task, skip the string and use the flexible tape measure! But don't cut it... that would be bad! Blankets come in different weights for different weather conditions. Use the key below to figure out which blanket is right for you.